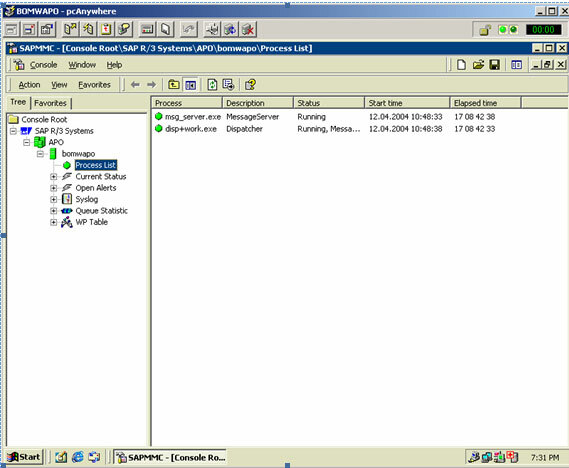 SAP Administrator often needs to check whether SAP is running or not. How can you find out with an operating system query whether the SAP system is running? This displays list of all work processes. If there are no work process found in the result then you may conclude that SAP system is down. Note: Please check the instance number if the server runs more than one instance of SAP. Also check whether the database is running in the system. If this file system is full, check whether the backup system is working alright. Start archive backup immediately. You can switch archiving directory if alternate file system for archive log is available in your system (best practice). If this is not available you may move some of the old archive files to any other file system where the space is available (but not into /tmp file system!!). This may be done as last option. The backup of these files must be taken before deleting them at the later stage. However the steps described above for Unix and Windows operating systems are only a fairly primitive check. The existence of processes is checked but not their interaction. Presence of work processes not necessarily mean that SAP system is running alright.